There are a variety of home décor ideas for an efficient use of room space. However, it isn't always easy to find the perfect option for you as far as functionality, fair price and an attractive look. What would you say if we tell you that there is a way to dress up your room, create a welcoming atmosphere and make your living space highly attractive? Our Metropolitan Murphy Bed offers it all. This elegant murphy bed collection features raised panel door faces that add a classy look and makes you feel excited about this beautiful piece of furniture! "It can be modified with pull out night stand shelves, doors and drawers." 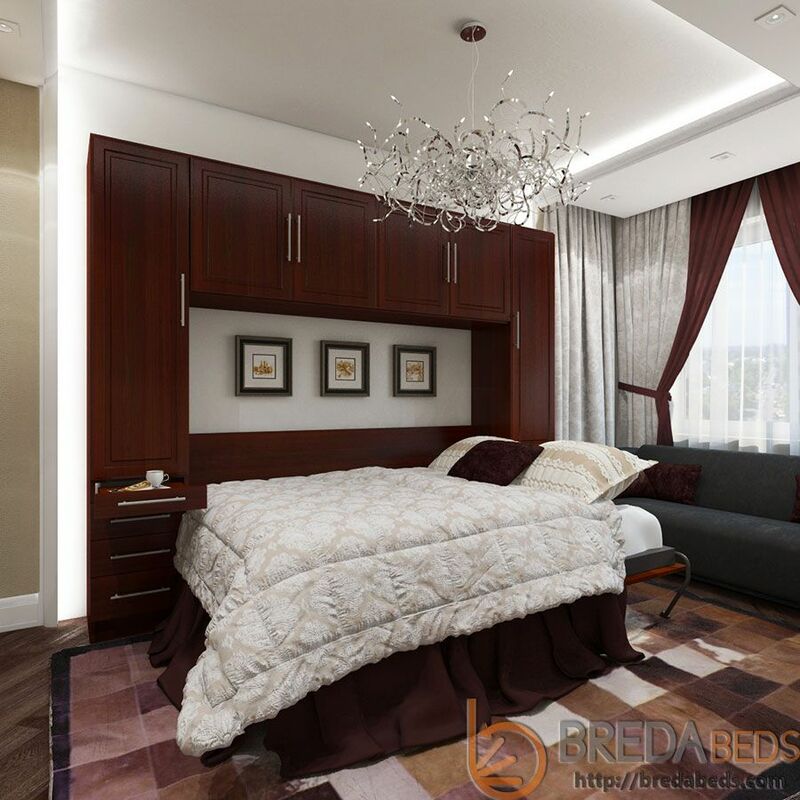 BredaBeds offers endless configurations with a gorgeous look, suitable for every room. The wall bed units in this collection are available in Twin, Twin Extra-Long, Full, Queen and King sizes. Open shelving comes standard in the Metropolitan Collection, however, you have a big selection of the hutch options. It can be modified with pull out night stand shelves, doors and drawers. We also offer this collection in 8 beautiful colors and just recently we added two more new colors – Element Alder and Solar Oak. This way you can pick a color and a hardware finish to look great with your furnishing. Family and friends will be astonished by its functionality and style, whether it is a guest room or a smart design in a small space. The Metropolitan model is also great for decorating and personalizing purposes! You can modify it with open shelving, which would give you plenty of room to express your decorating ideas... like some memorable pictures, favorite wall art or other things so close to your heart. It will create a remarkable look! Elevating your home space with this amazing product will make you want to spend a lovely quiet evening in your newly innovated, nifty room.